Hoverboard are now becoming old news as there is a new boss in town called Scoot-E-Bike. If you don't know what a Hoverboard is i will give you a short explanation -- Hoverboards are wheeled devices that can reach a top speed of just over 10mph. 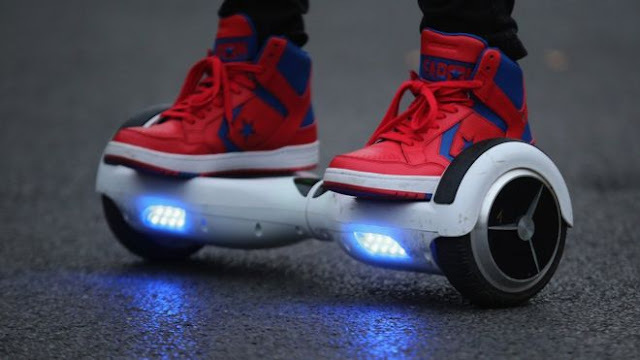 See the image of a Hoverboard bellow. Let's Get back to the Scoot-E-Bike. What is this..? Well, if your wondering what is it.. It's an electric bike ... which seems like the new 'it' toy for celebs. Scoot-E-Bike is the first electric bike with no pedals and is now sold in America! Lots of celebrity have been seen riding this new toy..! 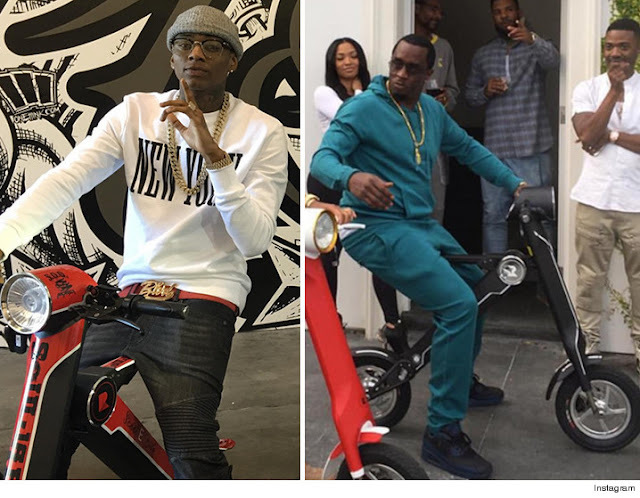 P.Diddy, The Game, French Montana, Snoop Dogg, Ray J and Soulja Boy are also repping for ScootEBikes. 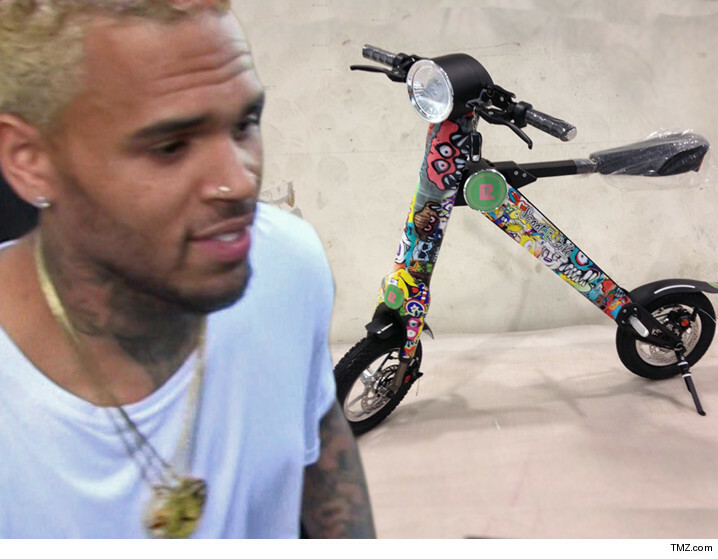 Chris Brown went on for the one with customized paint job made by graffiti art monsters. Not only arts riding on the ScootEBike, even sports people like Floyd Mayweather and NBA star Steph Curry owns it. It's fashionable it's portable with Bluetooth and USB to connect and charge other Devices. 30 miles to the charge. And takes 3 hours to fully charge. No pedals keyless start. And great for the environment.